Just minutes ago, Registrar of Voters Neal Kelley certified the First Supervisorial District Special Election. Total turnout from the election was 22.6% with 19% of voters casting their ballot by mail and 3.5% of voters voting in their polling place. In the 2007 First District Special Election overall turnout was 22.4%, vote-by-mail voting was 17.3% and polling place voting was 5.1%. The Orange County Registrar of Voters produces detailed reports focusing on overall turnout, turnout by precinct, turnout by districts, turnout by cities, and more. These detailed reports can be found by visiting ocvote.com in the “Results” section. 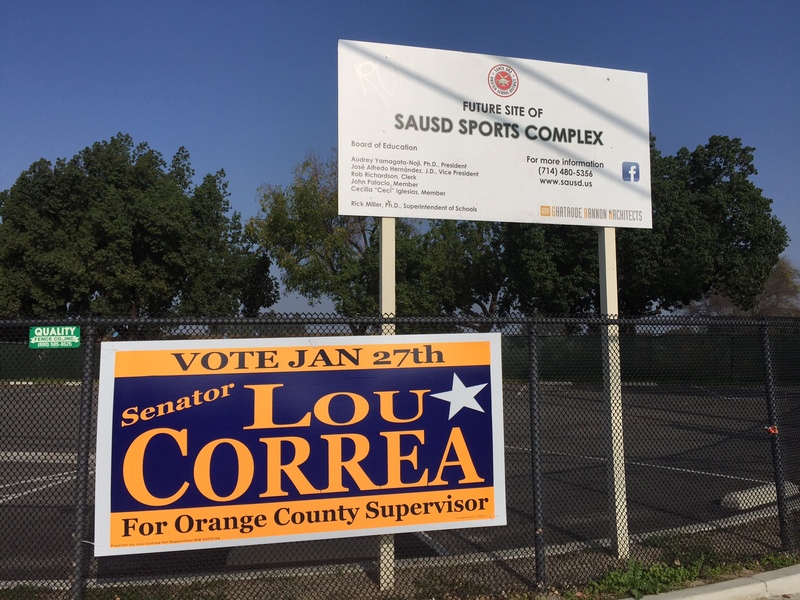 As the final day of counting in the First Supervisorial District Special Election commences, Lou Correa is simply running out of ballots to overtake Andrew Do’s lead. While provisional ballots helped Correa narrow his deficit from 239 to 85 yesterday, that 154-vote swing is not enough for Correa to defeat Do. Late absentees were trending at a 5% lead for Do. The 70 traditional late absentees would then give Do an increased lead of 3-4 votes. Let’s say the five remaining paper ballots split evenly between Correa and Do, with one going to Phan. That leaves the 294 provisionals and the 396 SB 29 ballots. Correa gained 622 votes in yesterday’s count, Do gained 468, Chris Phan 193, Chuyen Van Nguyen 44, and Lupe Morfin-Moreno 18. Correa gained 46.25% of the 1345 ballots counted yesterday while Do gained 34.80%. However, of that amount there were 970 provisionals and 375 absentees. In other words, 72% of yesterday’s count came from provisionals while only 38% of today’s count will come from provisionals. If yesterday’s trend were to continue today (which is not possible due to the much lower proportion of provisionals, but let’s give Correa the benefit of the doubt), Correa would gain 319 votes from the remaining provisional and SB 29 ballots while Do would gain 240 votes. That would net Correa an additional 79 votes. Add in the 70 traditional late absentees and Correa’s net gain is 75-76, which is still 9-10 votes short of overtaking Do. Correa still loses in his best case scenario. A more likely scenario comes from applying yesterday’s trend to provisionals and prior days’ trends to SB 29 ballots. Correa gains 135 provisionals and 143 SB 29 ballots. Do gains 102 provisionals and 162 SB 29 ballots. That’s a Correa gain of 278 and a Do gain of 264, or Correa shrinking Do’s lead by another 14 votes. Throwing in the traditional absentees reduces it to a lead reduction of 10-11 for Do, which would still have Do winning by 74-75 votes. However, with the reports of the SB 29 ballots being overwhelmingly Vietnamese language ballots and the fact that more SB 29 ballots can still come in today, Do likely wins this election by well over 100 votes. That’s not a landslide, but it’s certainly well beyond the margin for a recount in this low-turnout election, where less than 49,000 ballots were cast. 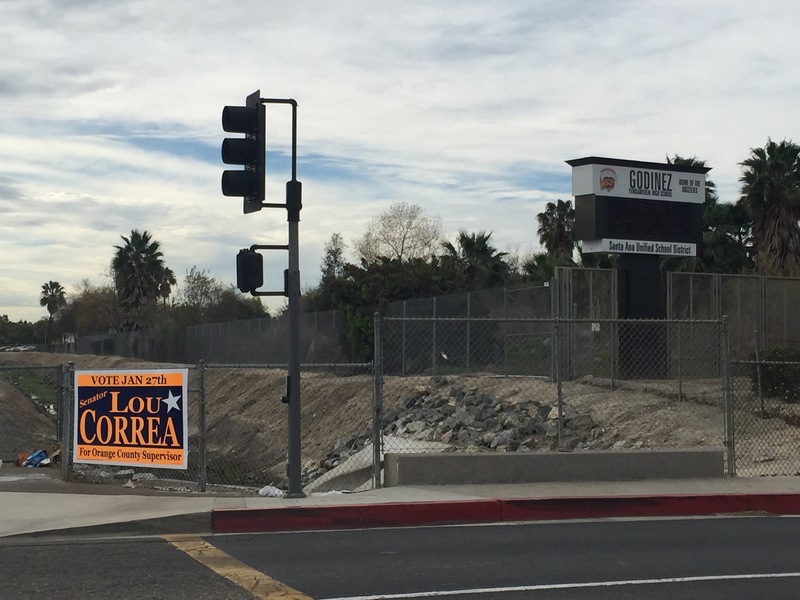 In the First Supervisorial District Special Election, Lou Correa won early absentee voters, but Andrew Do won late absentee voters and poll voters. Correa won 13,629 early absentee votes while Do won 13,480, a difference of 149 votes. The infamous habit of Vietnamese voters casting ballots late reared its head again, as Do won 2,069 late absentee ballots to Correa’s 1,821, a difference of 248 votes. Do won at the polls too, with 2,681 votes to Correa’s 2,541, a difference of 140 votes. Judging by these trends, the earlier election date assisted Correa while a later election date would have assisted Do. The earlier date favored Correa because it took more time for Do’s campaign to build up his name ID and persuade voters to vote for him while Correa simply had to remind the earlier voters of their many years of voting for him. A later date would have helped Do by giving his campaign more time to build his name ID and persuade voters. There are 637 outstanding absentee ballots and 1264 outstanding provisional ballots. If the remaining absentee ballots come in at the same rate as the other late absentee ballots, Do will have 18,491 votes while Correa will have 18,220, a lead for Do of 271 votes. If through some miracle 100% of the provisional ballots are valid, Correa would need to beat Do by 22% in the provisionals (technically, 21.518%). However, if 88% of the provisional ballots are valid, Correa would need to beat Do by 24.37% in provisional balloting. The mysterious factor are the SB 29 ballots. No one knows how many of these are still out there, as there are two more days of mail where these ballots can come in. Obviously, if they trend similarly to late absentees, then Do’s lead widens and Correa needs even more of the provisional ballots. 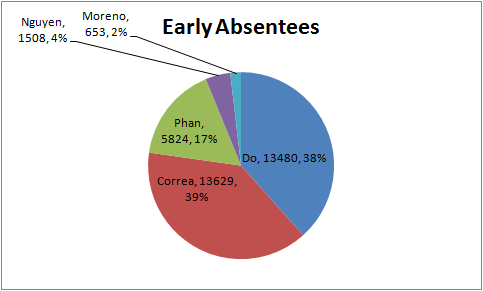 Obviously, if they trend closer to early absentees, then Do’s lead narrows and Correa needs fewer of the provisional ballots. We’ll find out by Friday how the SB 29 ballots went and if Correa was a genius for writing SB 29 or if Correa wrote a bill that helped lead to his own demise. 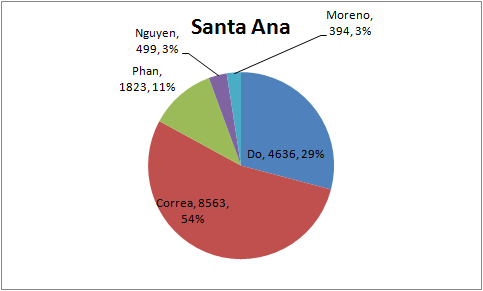 In a city-by-city breakdown, there were no surprises for the two front-runners, with Correa dominating Santa Ana (54%) and Do winning the rest of the First Supervisorial District. Do was strongest in his current home of Westminster (49%) while his former home of Garden Grove was his weakest lead (41%) though that’s likely the spoiler effect of Garden Grove Councilman Chris Phan. 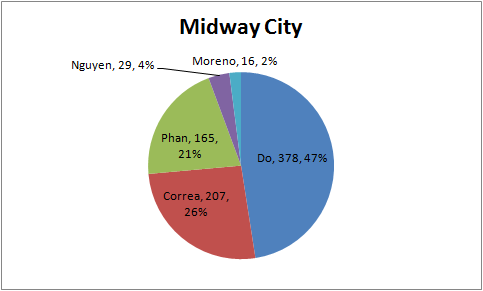 Oddly, Garden Grove was not Chris Phan’s best community; he won 20% of the vote there, but he won 21% in the unincorporated community of Midway City. Phan and Do won a combined 61% of the vote in Garden Grove, 65% in Fountain Valley, 66% in Westminster, 68% in Midway City, and 40% in Santa Ana. 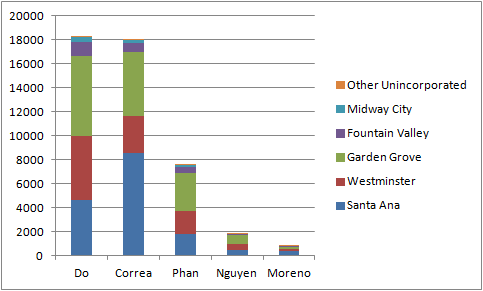 Adding Nguyen in increases that to 66% in Garden Grove, 68% in Fountain Valley, 70% in Westminster, 72% in Midway City, and 43% in Santa Ana. Lost in most discussions is the Lupe Moreno factor. She does not have 100% name ID, and she didn’t really campaign in this election. She was also the only woman in the race. If even 30% of the votes cast for her were cast by Latino and Latina voters who would have otherwise voted for Correa, she may well have played a critical spoiler role to stop Correa and allow Do to win. In other words, Lou Correa got legislation signed into law that absentee ballots that arrive by mail by Friday at 8:00 PM after the election must still be counted even if they are not postmarked. This is the first election that is affected by this law. It is not known how many of these ballots are out there, but if an unpostmarked absentee ballot arrives by Friday, January 30, at 8:00 PM, the Registrar of Voters is legally obligated to count it. They like their elections close in the 1st District. Filing has closed for the March 17 special election to fill the vacancy in the 37th Senate District left when Mimi Walters was elected to Congress. As expected, Assemblyman Don Wagner and former Supervisor/former Treasurer-Tax Collector John Moorlach filed for the seat. Unexpectedly, Naz Namazi pulled papers on the final day of filing and then filed for the seat as well. A head-to-head Wagner vs. Moorlach race would have ended this election on St. Patrick’s Day. If Namazi pulls enough votes to prevent either candidate from breaking 50%, that would force a Wagner-Moorlach run-off on May 19. Wagner is using “Business Owner/Assemblyman” as his ballot designation. Moorlach unsuccessfully sought “County Supervisor/Businessman” as his ballot designation, receiving “Orange County Supervisor” instead. Oddly, Namazi does not have a ballot designation. Ballot designations can be challenged in court through Monday, February 2 (a week from today). I’ve never understood why a candidate would refuse to have a ballot designation. It costs nothing and is the one thing every voter sees because it’s right under the candidate’s name under the ballot. It’s literally the last thing a candidate gets to say to every voter (and for a scary number of voters, it’s also the first thing). Wagner and Moorlach both got statements for the sample ballot while Namazi did not. The voluntary expenditure limit for this election is $846,000, and I think it’s pretty reasonable to assume that Namazi isn’t going to spend more than $846,000. That leaves only the logical conclusion that Namazi couldn’t plunk down the $5,376 for a ballot statement. If a candidate can’t afford to even get the ballot statement, how is the candidate supposed to get their message out? The ballot statement is the opportunity for every candidate to get a 1/4 page message mailed out to every registered voter in the district, as it is included in the sample ballot. Any mailer districtwide would cost more than the ballot statement. Even the costs of ink and paper from printing literature on a home computer to hand deliver to every voter in the district would cost more than a ballot statement. In a general election, it’s possible to win an obscure down-ticket race without a ballot statement because voters are exhausted from reading many seats’ ballot statements or voters aren’t paying attention to the down-ticket races. However, this is the only thing on the ballot; there is no down-ticket. Anyone turning out for this election is turning out solely for the Senate race. Plus, it’s a special election, and special election voters are far more likely to read the sample ballot than general election voters. Namazi was a paid staffer on Congressman Dana Rohrabacher’s re-election campaigns in 2012 and 2014. She also purportedly joined Rohrabacher’s Congressional staff earlier this month. She has been a licensed real estate salesperson for 1 year, 8 months (since May 2013). Born in Pakistan, the 47-year-old Namazi had been registered to vote at her Laguna Niguel residence for 20 years but recently reregistered to vote in Irvine in the two-bedroom residence of 64-year-old Julie Tanha. Property records do not show that Namazi has given up her residence in Laguna Niguel nor acquired Tanha’s residence in Irvine. Laguna Niguel is in the 36th Senate District while Irvine is in the 37th. Born in Pennsylvania, the 54-year-old Wagner has been registered to vote at his Irvine residence for 23 years. Wagner has been a licensed attorney since 1987, an Assemblyman since 2010, and was a community college district trustee from 1998-2010. Born in the Netherlands, the 59-year-old Moorlach has been registered to vote at his Costa Mesa residence for 12 years. Moorlach’s CPA license was issued in 1980 but is currently inactive; he was a County Supervisor from 2007-2015 and the County Treasurer-Tax Collector from 1995-2007. Ordinarily, a candidate who pulls papers on the last day of filing, recently reregistered from a longtime out-of-district residence to an in-district residence, has no ballot designation, and has no ballot statement would have all the red flags of being a decoy candidate. However, there is one big gaping hole in the decoy theory: who actually benefits from Namazi’s candidacy? Unless she starts hitting either Wagner or Moorlach, there is no obvious beneficiary of her candidacy. There is no reason to see how she would draw from more from one candidate or the other: her name isn’t similar to either Wagner or Moorlach, she doesn’t have a similar ballot designation to either Wagner or Moorlach, she’s a woman while the other two are men (indeed, her name doesn’t even make her gender obvious), she has an Iranian name while Wagner and Moorlach have European names, etc. Now, if Namazi starts campaigning heavily against one of the two major candidates, then the decoy theory is worth another look. Who Will Campaign to Democrats? It had long been thought that Wagner and Moorlach would try to outflank each other on the right to win the safely Republican SD-37, but with the Democrats failing to field a candidate (and indeed, no non-Republican candidate filing at all), which one will attempt to win over Democrats? Or will both attempt it? It will be a delicate balancing act trying to hang on to Republicans and grabbing Democrats. 28.6% of SD-37 voters are Democrats. It’s a huge voting bloc. If one candidate goes for the Democrats but the other does not, the Democrats could well determine the result of the election. (Leslie Daigle missed her chance; this race was tailor-made for her!) However, it’s still a staunchly Republican district; tilting too far left could cost too many votes on the right. Of course, there is the ever safe strategy of non-substantive messaging, along the lines of “Democrats Trust John Moorlach” or “Democrats Support Don Wagner” without any political stances included whatsoever. 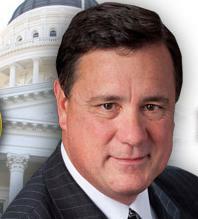 As an Assemblyman since 2010, I’ve been a proven, principled conservative voice in Sacramento. That’s why I’m endorsed for State Senate by our conservative Congressman Ed Royce and Congresswoman Mimi Walters. As Senator, I’ll strongly support a balanced budget, with no new taxes. I’ve fought to eliminate the $500 billion “wall of debt” that liberal politicians have created and plan to leave to our children. I signed the “Taxpayer Protection Pledge” to never vote to raise your taxes and am endorsed by the OCTaxpayers Association. My fiscal credentials aren’t just talk. I have real experience balancing government budgets – as President of a local Community College District I balanced every budget and paid off all debts, without raising taxes. It can be done. I oppose amnesty for illegal immigrants. I’ve been a leader in demanding that Washington secure our border and compensate California taxpayers for the enormous costs of illegal immigration. I’m on record strongly opposing President Obama’s actions to grant amnesty. As a small business owner myself, I experienced how overregulation and over-taxation stifle business success and economic growth. That’s why I’ve worked to get government off the backs of business owners. And that’s why I’ve been endorsed by the California Small Business Association and the National Federation of Independent Businesses. I’ve been leading the fight for conservative values in Sacramento, not just talking about them from afar. I pledge to use my experience and proven conservative record to keep up that fight for responsive, responsible, limited government. I will fight to end unnecessary government spending and reduce debts. I oppose raising tax rates and I believe government must be lean, efficient, and live within its means. I began my career as a CPA and Certified Financial Planner. I believe government spending requires sound planning and must stand firm against pressures from special interests. California has an unrestricted net deficit of $124 billion and is 46th out of 50 states in financial status! Billions in underfunded public employee pensions is one of our biggest threats. As a County Supervisor, I passed a ballot measure requiring voter approval on any new public employee pension enhancement. We also renegotiated the county employee retiree medical plan, reducing the unfunded liability by 71% and saving Orange County taxpayers nearly $100 million a year. In 1994, I was a partner in a local accounting firm. When Orange County declared bankruptcy that December, I was brought in to help clean up the mess. We immediately cut costs, eliminated risky investments, and put the County back on a fiscally conservative path. In 2006, I was elected to serve as County Supervisor, where I helped to prudently guide spending through the Great Recession, thus improving the business climate. During my tenure, the County’s unrestricted net assets grew from a deficit to in excess of $300 million. Today Orange County is fiscally sound, and our economy is strong. As mentioned earlier, Namazi did not get a ballot statement.